ATTENTION Tall Mom 1,000++ 2010 Club Members you have 18 days to complete your miles!!! How did you do? Did you surpass it by multiple Marathons? Will you squeak in on New Years Eve? Or did injuries and life get in the way leaving you a few miles short?? No Matter what I am PROUD of each and every one of you!! 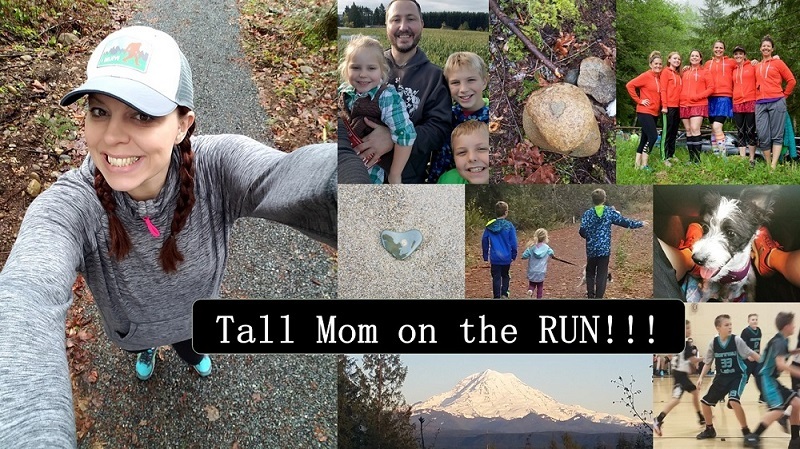 It has been fun to see the total miles grow on the spreadsheet and connect people all with the same mission to GET MOVING!! Be sure to log into the Spreadsheet and update your miles. It will close on 1/1 and I will post the numbers on Tall Mom. Send me your 1,000 pictures!! I would love to include photos in the end of the year Club post. So get creative. Email me your photo along with your name and a link to your blog so I can keep things organized. 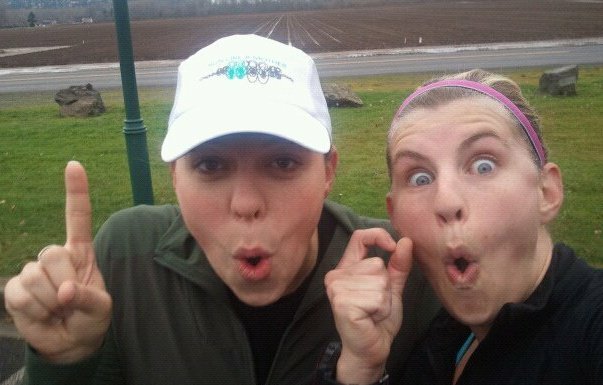 Jill is Pretty CREATIVE...I felt BLESSED to run her 1,000th mile with her. It is such an AMAZING feeling to go 1,000 and beyond. 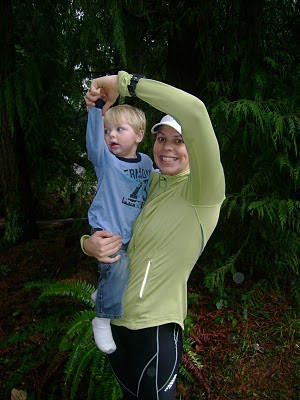 Knowing that you have made a life commitment to fitness, making time for yourself and your health. 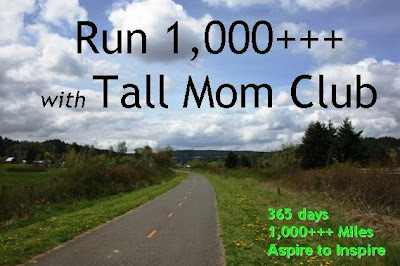 On 1/3 Tall Mom 1,033+++ Club 2011 will open. Want to join in??? You will get the chance very soon. Everyone already in the club for 2010 will be carried over unless you opt out.. 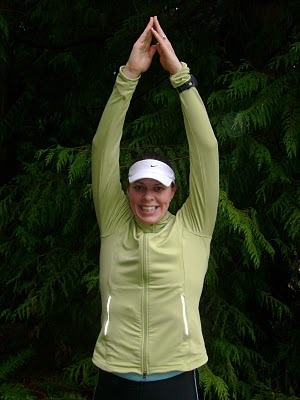 I got up at 4:15 AM and met Janna and Rachelle for a rainy dark run. It was slow but it felt good to be moving and get some fresh air... Janna was telling me all about the people she has met lately at races and Fleet Feet Events.. she said some of you have dropped my name.. Hmmmmm?? Who are you?? Introduce yourself :) Tonight is the Fleet Feet Christmas party, very excited to see all my buddies dressed up and RELAXING.. Will be nice to have a conversation that does not involve heavy breathing. Yay!!! I'm so excited to do this another year!!! I have some people who want to join so I will keep them posted! I will send you my pics from my 1000. The last 3 miles were during a race that I ran with my sister. It was her first race ever!! I've been bad about transferring my miles to the spreadsheet. I'll get it updated today. This has been great motivation. I can't wait to start the 1,033 mile club. I'd love to participate in 2011. I'll be working on getting faster, but I'll still need to put in the miles, and it will be great to have an incentive. i can't wait for next year and i get to be in automatically. i am busting my rear to get my last 90 miles in. i might be running really far on new years eve. thanks mel! Can't wait to join the club in 2011, I missed out last year. It was closed by the time I figured out this bloggy thing! Can't wait to join in next year!!!! Congrats to everyone who participated this year! I want to join for 2011!! I missed the cut-off for the 1000 club... can't wait to join the 1033 club! I'm really tempted to join the 1033 club. I'm doing the math, and I think I should be able to hit it. Can't wait for next year's 1033!! Tks for the reminder to take a pic at the 1,000 mi mark. I'll do that when I hit it later this week/early next week. I def want to be in for the 1,033+++ for 2011. i loved keeping track of my miles on your spread sheet. Thanks for organizing it. I just found your blog about a month ago and love it. I can't wait to join the 1000+++ club for 2011. Keep up the good work. Thanks for all you do to help your readers stay inspired. I surpassed 1000, but i only ran 1 marathon, I was just really dedicated. I appreciate your challenge and will SOOOOO do it next year too! And will have to think of a creative way to show you 1000? Or do I show you my "real" number? Ha ha! You said "...nice to have a conversation that does not involve heavy breathing." I don't think I'm going to make it...but I guess I've had a few months of low mileage, like Jan and Feb where I was recovering and then in July.... ;) Overall I'm pretty proud of my miles but can't help but wish I had done more. I'm looking forward to 1033+++ in 2012. Wait, WOW! I just jumped ahead a whole year! Guess it is almost 2011 not 2012! Ha! Thanks Mel for all the work you put into this through what turned out to be a challenge filled change filled year. We all really appreciate yourefforts. And love the up lifting encouargement we always get for you! You are truly inspiring many...me amoung them. Can't wait to see what next year brings for us both! 15 miles to go! Not bad considering I started logging miles in late February. Thanks for doing this. It has been fun watching the miles climb. I've been waiting for the new year so I could get in on this! Thanks for the inspiration! Count me in for 1033 in 2011!! I thought about trying for 1000 last year but bring pregnant knew I couldn't catch up. I really want to try it in 2011 though. Gotta do some thinking and decide if I can commit. Could someone send me the link? I lost my computer drive and files and no longer have the link. cheinle at cox dot net. thanks! Yay! 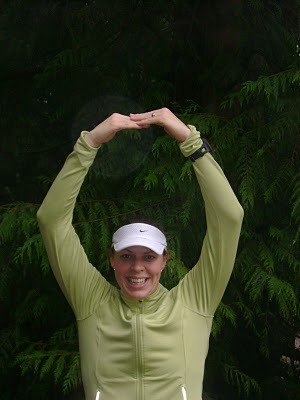 Hoping my achilles decides to start playing nicely again soon so I can get my miles in 2011!